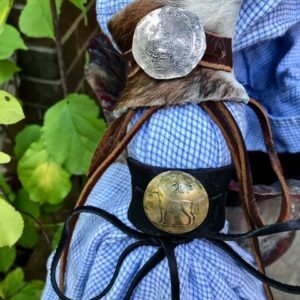 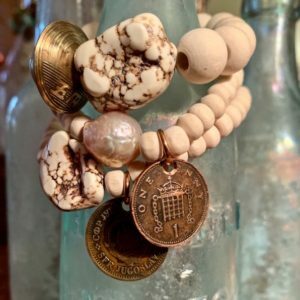 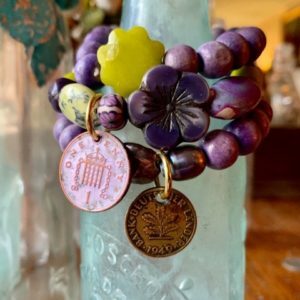 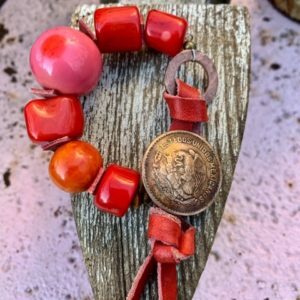 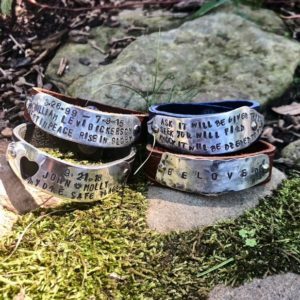 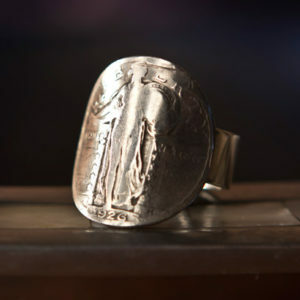 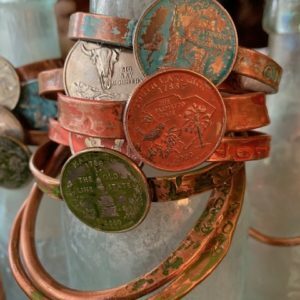 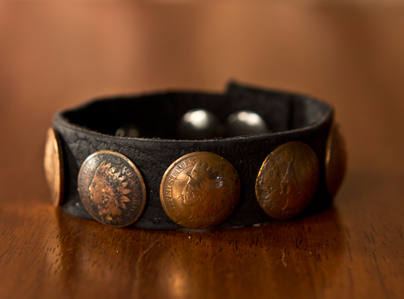 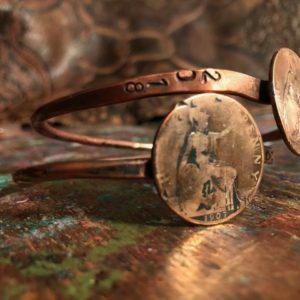 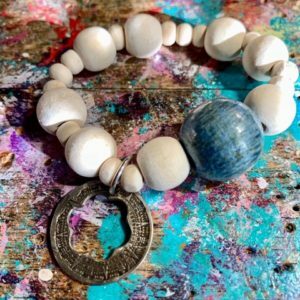 Leather cuff is .75 inches wide with American Penny collection – 6 to 7 coins. 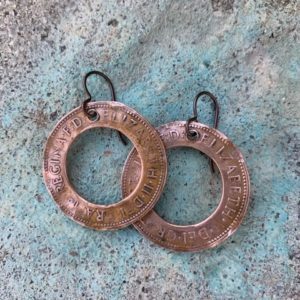 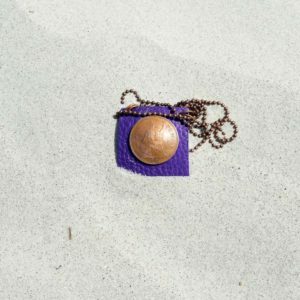 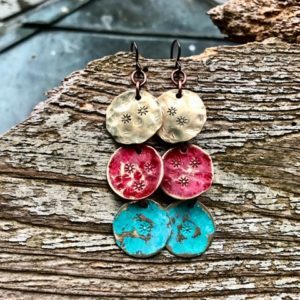 3 brass sun coins on a copper chain- 3” drop. 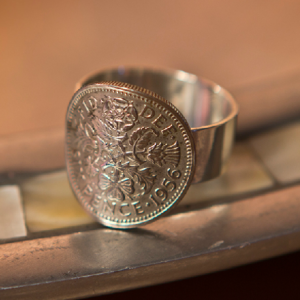 Coins are .75” wide. 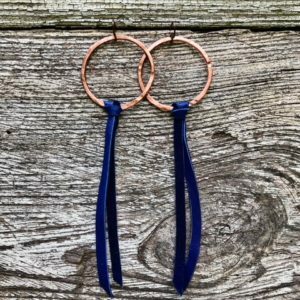 Niobium ear wires. 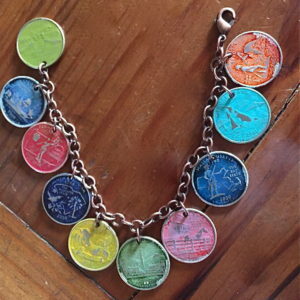 Super lightweight. 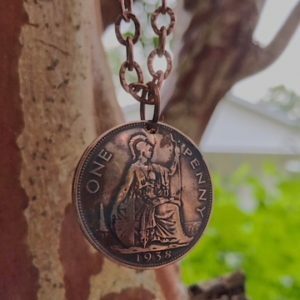 Two British coins hammered and soldered to form a pendant. 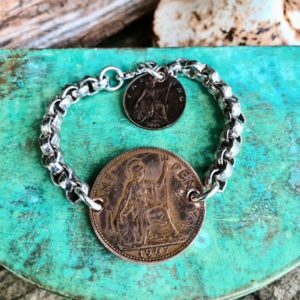 Copper chain with miscellaneous world coin closure adjustable to 36"
Vintage British sixpence on wide sterling silver band.